Hot on the heels of articles by Ryan & Mark in recent days, today's article continues the focus on Melbourne's in-demand architecture firm, Elenberg Fraser. Before I continue however, I'd like to start off by apologizing. The name Elenberg Fraser doesn't really lend itself to the sort of witty article names everyone has probably become accustomed to me providing. 'Tip of the Elenberg', 'Set Frasers to Stun' and even 'Set Frasers to stun, this is just the tip of the Elenberg' were considered but ultimately didn't make a hell of a lot of sense. 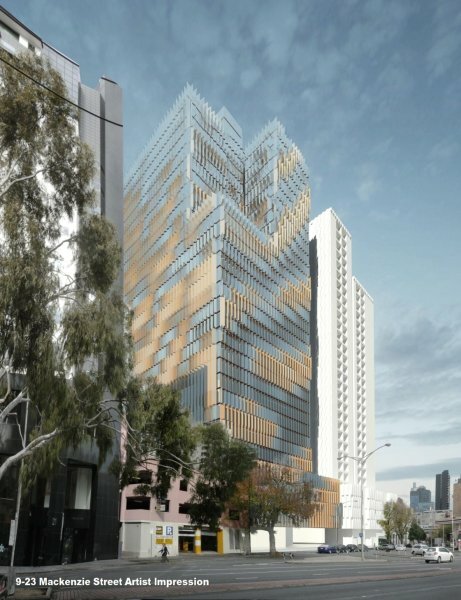 As some readers would already know Malaysian-based property heavyweight UEM Sunrise recently ran a limited design competition, inviting three local architects to produce schemes for their two flagship Melbourne projects at 224-252 LaTrobe St and 9-23 Mackenzie Street. 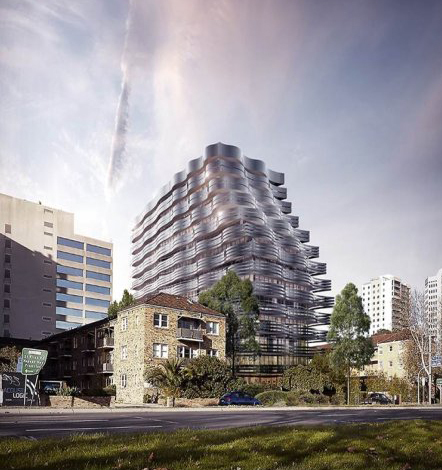 It came as little surprise that one of the firms invited to submit designs for the sites, and ultimately the architect of choice for the LaTrobe Street project was of course Elenberg Fraser. Accustomed to producing designs for high-rise residential towers throughout Melbourne, the firm roughly accounts for an incredible 10% of all apartments going up in Melbourne. 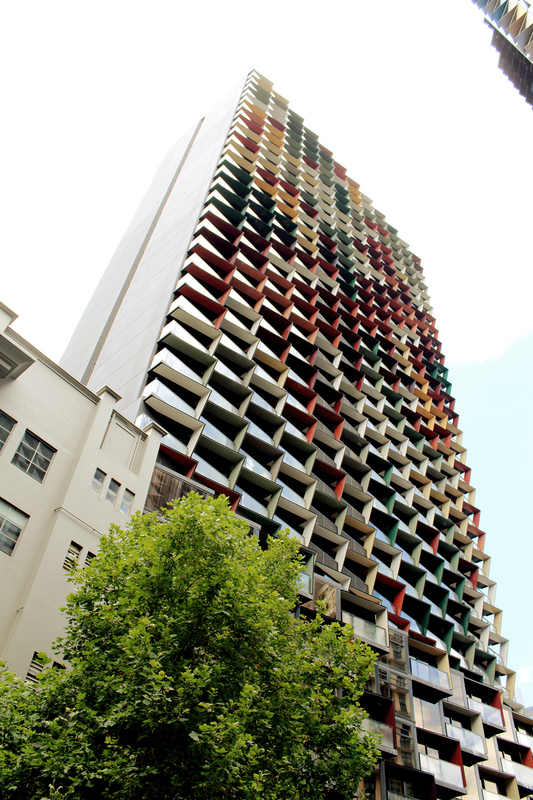 So how did Elenberg Fraser, once renowned (at least in the eyes of peers) for only sharing interest in the design of 'facades' rather than a holistic approach to a sum of parts, become the in-vogue Melbourne high-rise apartment specialists - the Asian developer's go to architect that we have come to know today? Well for one, it didn't happen overnight and is the result of some hard work and getting their foot in the door early by having and making the right connections. Established by Zahava Elenberg and Callum Fraser in 1998, following the successful commission of the $50m Liberty Tower (with documentation services provided by Design Inc) on Spencer Street for Morry Schwartz's Pan Urban, the practice has since gone on to develop an impressive body of work in all sectors including apartments, interiors, ski resorts, restaurant fit-outs, master plans both locally and abroad and even a designer pizza. 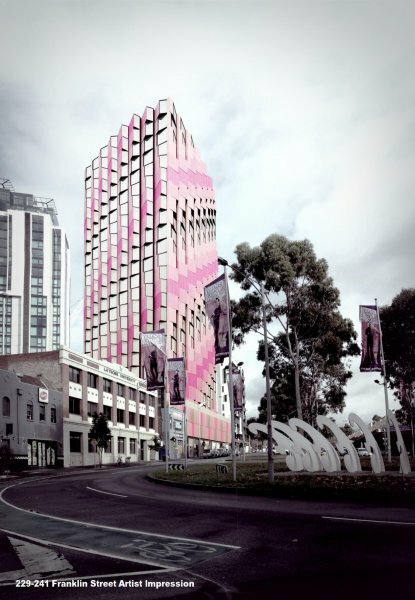 Not bad considering Zahava and Callum designed Liberty Tower whilst in the midst of completing their studies at RMIT University - how many architectural graduates can lay claim to that? I certainly can't. The practice has continued to grow from around 18 employees in 2003 when the office was still based in Fitzroy to well over 50 following its move in to swanky new digs on Queen St, which bear all the hallmarks of an Elenberg Fraser designed interior. Visually and tactically stimulating - a black shell fitted with neon tube artwork, echo panel pinboard walls, an integrated reception desk and waiting seat plus latex covered counters which I may have been overly eager to get a feel for during an invited visit to the office some years ago - drawing a look of concern from practice manager Karen McWilliam. Zahava has since gone on to establish Move-In, a home furnishing service for owner-occupiers and investors and claimed the Telstra Young Business Woman of the Year Award in 2003 whilst in the process taking somewhat of a back seat in the general operation of the office. Callum, on the other hand has become the public face of the firm, appearing in marketing videos for the office's residential projects and spruiking the benefits of high-rise living in the media, in particular tall thin towers - a "move (away) from the Mid-West USA city model to a new urban model of pencil thin skyscrapers". Invention excites us. We address the needs of our clients, building users and community by identifying the specific needs of each project. We ask the right questions without imposing pre-determined solutions and then we use our process to take us to the invention stage. This process has opened people's eyes to impossible realities. Who knew buildings could be both design-driven and market-driven? Rather than applying a house style, our buildings are conceived in their own right, responding to their specific site, location and purpose. We don't generalise across projects either - our job is to uncover and express the unique identity of each project, through built form. The second paragraph in particular is worth exploring. It could be argued that since their jump up in scale with Abode318, the practice's projects seem to have developed a DNA based on scale and location, but with multiple permutations, parameters and possibilities - the larger city towers in particular feature variations of a fluid rippling or wave - a metamorphosis across their facades driven by a desire to mitigate the forces of wind (working together with Vipac) while simultaneously setting the scene for the firm's leap into modular construction with the Klik building system. This continuing theme is evident in Tower Melbourne, Victoria Tower, 450 Elizabeth Street, Hanover House development, King Tower Southbank, 378-412 William Street and to a lesser extent 127 A'beckett Street. The mid-rise stock of buildings produced by Elenberg Fraser in Docklands, South Yarra and St Kilda Road offer a more varied building form and facade strategy - still for the most part maintaining a sinuous visual language but with a simpler articulation, whether in the form of a fluid balustrade wrap treatment or a vertical screening element across the elevation of the building - with a focus on reduction of solar gain, glare to apartments and privacy for residents. It has to be said that while Elenberg Fraser's taller buildings have become variations of the one idea or theme, I question whether that is a) necessarily a bad thing or b) any different to any other architectural practice working at this scale. 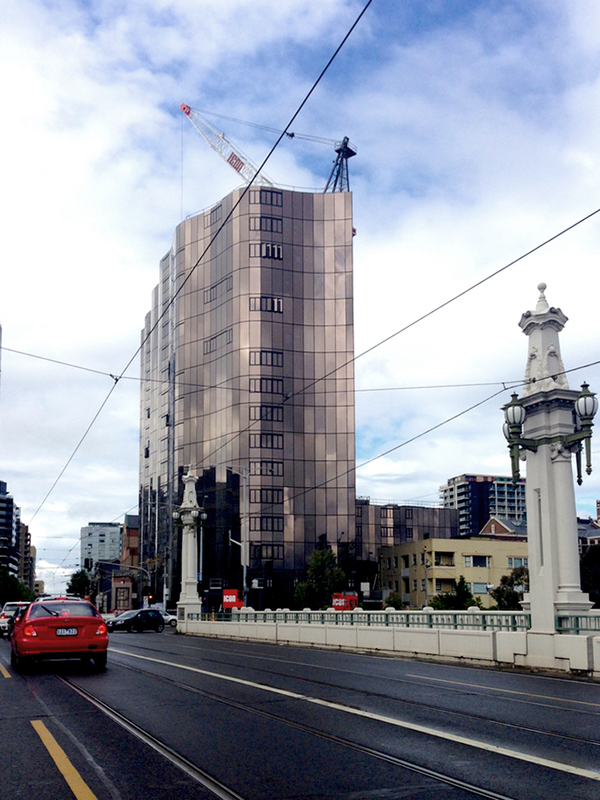 Is the city at risk of becoming known for bronze pencil thin, wavy towers? I don't think so. 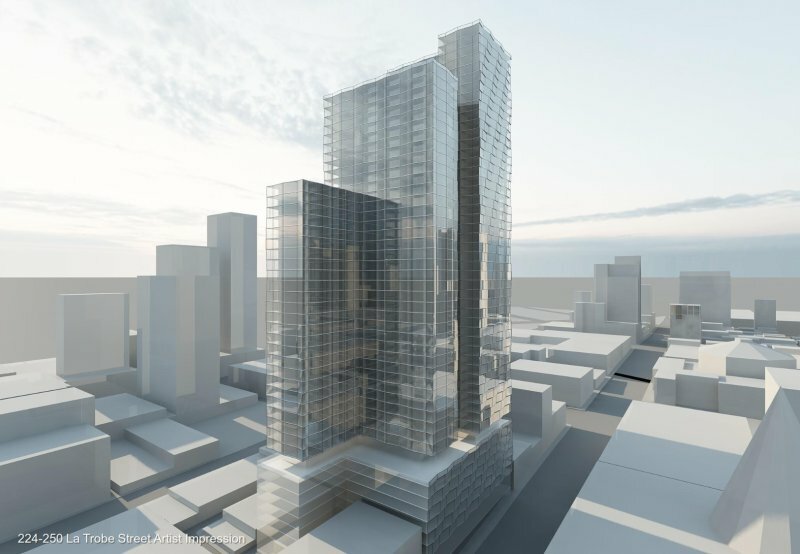 They have identified that one of the most important factors when designing tall towers on sites that don't allow for a podium with setback tower typology is comfort to residents and pedestrians, and consequently have developed responses in building form which disperse the wind and negate downbursts to the street. The by-product of this is tall, striking towers. Take a moment, to consider the alternative. Where other architects (who shan't be named) produce generic 'cookie-cutter' buildings which appear void of any real design nous or intent beside making their client a quick buck, Elenberg Fraser, in my opinion, at least provide visually engaging buildings that whilst static have very kinetic qualities about them. They are sculptural, masculine, feminine and have a real character about them beyond 'just another apartment building'. Together with the growing trend toward high-rise living and a saturated apartment market, quality, location and amenity are becoming more and more important. 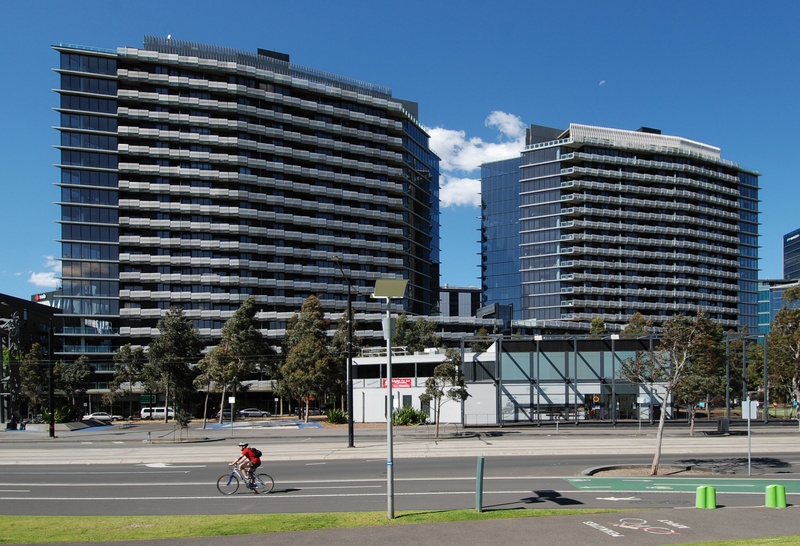 Considering the influx of foreign investment as giant Asian developers jostle for prime Melbourne sites, this new wave of Elenberg Fraser designed high-rises seems likely to endure for quite some time. With return clients such as Morry Schwartz (so what if he's Zahava's step-father), CEL Australia (with 170 Victoria Street), and a new Asian-based client almost every other week (or so it seems), those who head and work for this firm are seemingly at the height of their powers. I for one welcome the invasion of Elenberg Fraser buildings across the cityscape as their buildings don't just occupy the site, they engage the site and make it noteworthy. They are also strong believers "in embracing our new urban destiny". We at Urban Melbourne couldn't agree more and always look forward to what they'll come up with next. 386-412 William Street - 50 & 30-storeys (client: MIT Australia). 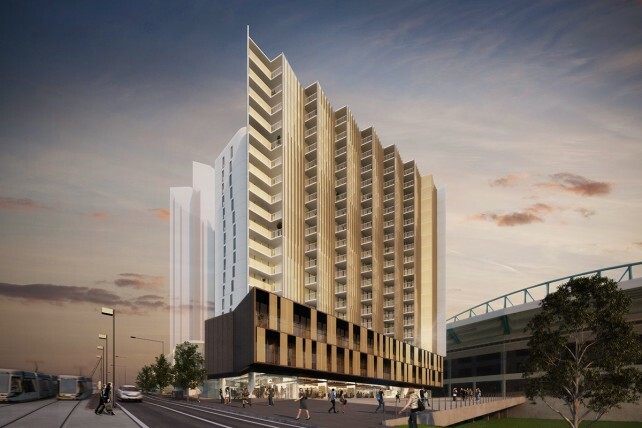 224-252 La Trobe Street - 78 & 50-storeys (client: UEM Sunrise). 380 Lonsdale Street - 56 & 52-storeys (client: Hiap Hoe). 170 Victoria Street - 66-storeys (client: CEL Australia). In due course I'll also be producing a host of renders focusing on Melbourne's northern CBD highlighting the above and other projects in the development pipeline, naturally dependent upon when planning applications are lodged. In the meantime enjoy the Elenberg Fraser projects below. The building that started it all - Liberty Tower. Photo taken by yours truly. A'beckett Tower. Photo taken by yours truly. Abode318 construction progress. Photo taken by yours truly. Great article, Callum and his team have produced an impressive body of work. A pity they chose to support the demolition of the rare and important Burton Livery & Stables building at 36-40 La Trobe Street, however. How much of Melbourne's heritage fabric can we flatten before this city starts to lose its essential architectural and historic eclecticism? Bit of a chicken and egg situation I'd suggest - applicable to so many sites in Melbourne. Do you blame the relevant governing body for not protecting/enforcing retention of older buildings or do you blame the architect for designing what is allowable according to the rules of the day? "To keep the story of the Goods Shed North alive, we have not only preserved the history but built for the future, creating a development that will enable the irreplaceable heritage patina of this building to be enjoyed by generations to come." As an architect, if one can articulate the value of heritage so well, why not demand the same standards for other important historic sites in Melbourne and reject those developers who can't see the value in heritage sites? Like it or not architecture is a business and one that is open to far more criticism than many other industries that I can think of. At the end of the day architects still have staff they need to pay and obviously need to take on work to support themselves - whether or not you agree with the principle of your client's brief. The Goods Shed project from the outset was a study in adaptive re-use of an existing structure - very different brief to a residential tower so not sure how exactly they're comparable? Some architects take an ethical stance on social justice issues, built heritage and making the world a better place for people, and some don't. I would argue that retaining heritage places in cities is an ethical issue, as these places enrich the lives of the inhabitants of cities, connecting them to their past and the culture of place in a way that knocking down historic structures and replacing them does not. There is also, of course, a huge role for architects in helping to adaptively reuse old structures and creating the highest quality new buildings in cities too. The two examples mentioned are directly comparable in an ethical sense - in one, EF are claiming that people will benefit from the retained 'irreplaceable heritage patina of a building to be enjoyed by generations to come', and in the other, they simply ignore these values for the sake of commercial expediency, as you yourself suggest. I personally believe companies should have higher standards than that, and since this article is about the legacy that EF will leave Melbourne, I think it only fitting that we discuss all aspects of that legacy, including the destruction of some of Melbourne's most important remaining heritage buildings, such as Burton's Livery and Stables. 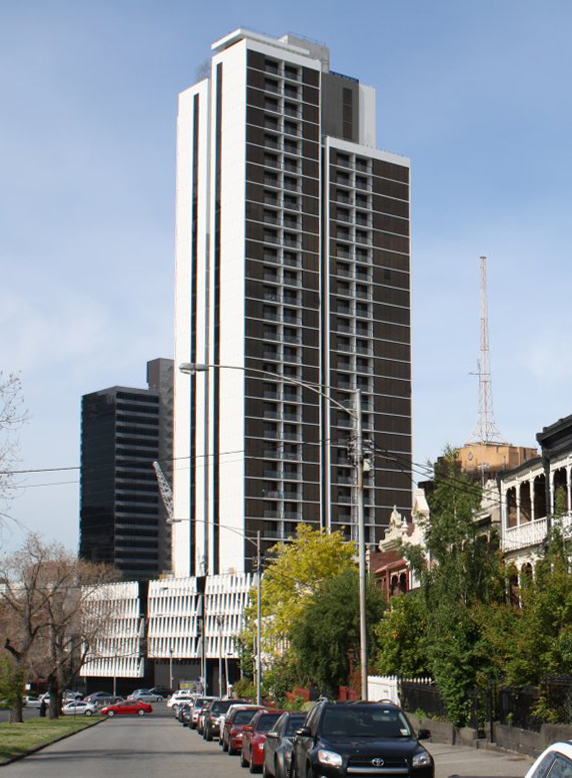 Once 36-40 La Trobe succumbs to the wrecker, that row of historic Melbourne buildings will certainly be EF'd. While I agree with aspects of your argument at the end of the day the architect is at the mercy of their client(s) - the architect's own ethics and morals sometimes have to make way for the developer's bottom line. I can't and won't speak on EF's behalf - that's not my role here, but I am happy to provide you with some insights from my own personal experiences. I worked on a project for a number of years which was an adaptive re-use of a former factory into apartments. Despite the office's desire to retain and celebrate as much of the building's existing fabric (both internally and externally), our best intentions went out the window when 'value management' reared its ugly head. The flip side of that is that I also worked (at the same office) on another adaptive re-use project that involved converting an individually significant two-storey redbrick warehouse into apartments with additional floors on top. This involved some cosmetic works to the existing facade but they were largely in keeping with the character of the building and the intent is to retain as much of the fabric internally as externally. Unsurprisingly these were for two very different developers who do not share the same priorities.